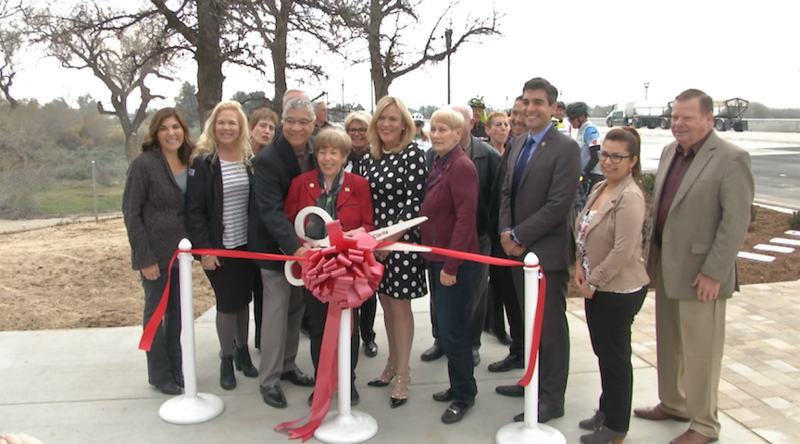 The city of Santa Clarita hosted a ribbon-cutting event to celebrate the completion of the Newhall Ranch Road Bridge Widening Project. The multi-million dollar project expanded the bridge to provide an additional traffic lane in each direction – increasing the number of lanes in each direction to four. In addition to improving trail connections with a new undercrossing trail in the west bank, the project also added a raised median and a new protected sidewalk and bike path on the south side of the bridge.